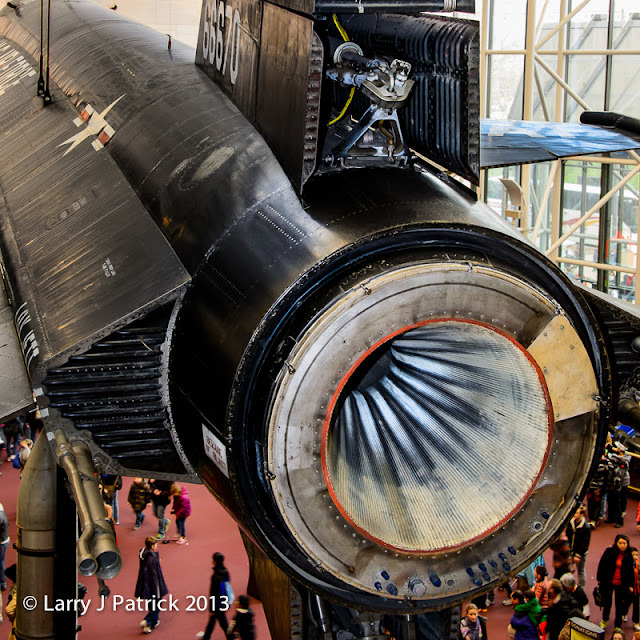 The Smithsonian National Air and Space Museum is unlike any other museum in the world. It contains probably the greatest collection of air and space vehicles in the world. To me, there are two things that make it special: (1) the range of air craft, from the beginning of man flight to outer space; and, (2) large planes hanging light models throughout the museum. Today’s photos demonstrate the range of aircraft within the museum. 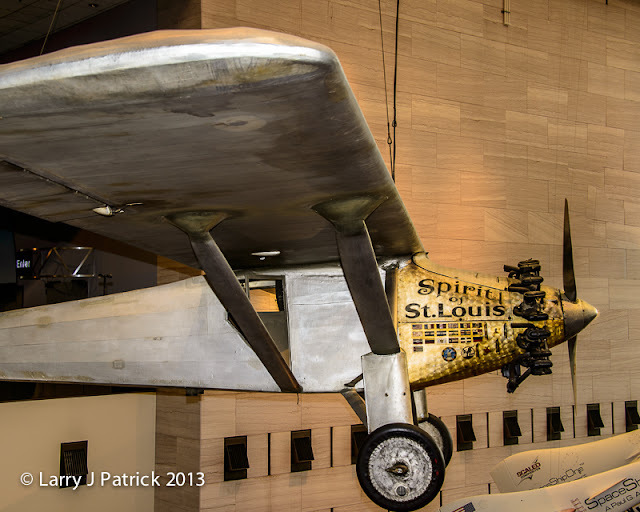 The Sprit of St. Louis that was the first airplane with a single pilot to go from New York to Paris. As I was looking at the plane, I thought about JD’s and my trip to Paris last November—flight time 10 hours, large comfortable seats, movies (too many), decent movies and lots of wine! Charles Lindbergh’s historic flight from New York to Paris—31 hours, cramped seats, no restroom, cold sandwiches, no movies and NO wine! Within 30 feet of the Spirit of St. Louis is one of NASA’s experimental jet that travels at about 2.5 times the speed of sound. This plane would have allowed Lindberg to make the flight in about two hours. I could do without the movies, food and even the wine for two hours! Camera settings: Nikon D4, 28-300mm f/3.5~5.6 at 28mm, ISO 1600, f/8 at 1/30th of a second with my camera supported by the railing. Lightroom 4—applied Nikon Vivid preset during import, set white and black points and added vibrance and cropped the second photo.